Rich with a fruity and sweet aroma, the Yoga Mist proposes healthy simplicity that's nothing short of charm. 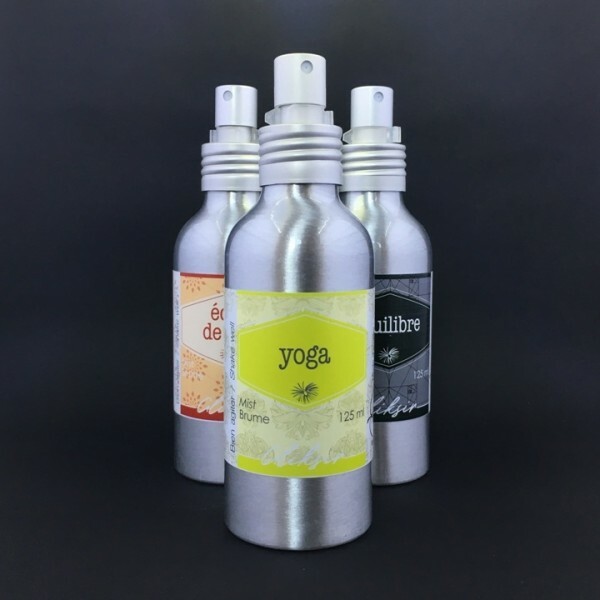 Use it to freshen up the air, as a body and hair perfume or simply before or after you exercise to refresh your yoga mat. Ingredients : balsam fir hydrosol, white grapefruit essential oil, soy lecithin, alcohol.